Fast, easy, and effective email marketing. Mail our responsive pre-built list in minutes! Getting your message out is fast and simple. Get started mailing our list in just a few minutes. Mail our Responsive list once, twice, up to three times a week. allow you to get your message seen faster! Mail out to a quality list of people who are earger to see your message. No hoops to jump through. Mailing our list is simple and easy. Your message is blasted out from our lightning fast server! We pay generous commissions on referrals purchases. Is a state of the art system where you can send your message to our pre-built list of responsive members. You can get started right now for free, and The Mailer is simple and easy to use. You won't find a more effective place to advertise. Has affordable upgrades and credit packages if you desire to get your message seen faster and more often. We also pay generous commissions on purchases made by anyone you refer to The Mailer. 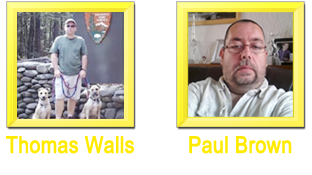 Is owned and operated by Thomas Walls and Paul Brown with a combined 20+ years in experience marketing online. We opened our first online business in 2007, and, are still operating it today. We dedicate our selves to fast and responsive customer service. The-Mailer is free to join. We will even give you 100 credits to get started with. Credit based or viral mailers are some of the most responsive forms of advertising online. Get your message sent out to our responsive list in just minutes. The-Mailer is very easy and simple to use. Anyone can use it to get their message out. The-Mailer pays generous commissions on purchases made by people you refer. The Mailer is full of bonuses like progressive click ratios, and weekly promo codes.